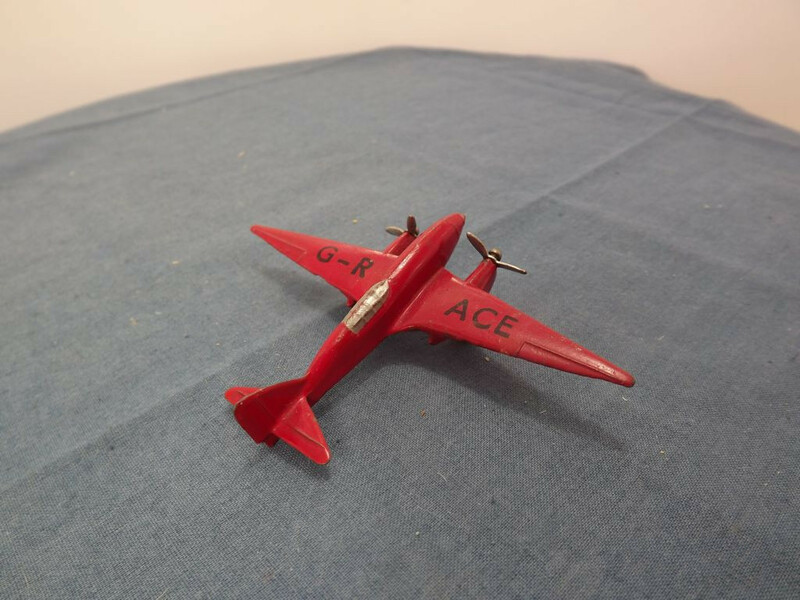 This is the DINKY 60g-G-10 De Havilland Comet Light Racer in red with wing markings "G-R ACE". 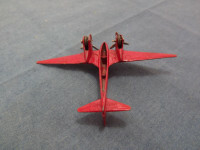 There are only three parts to the item, the body casting, the propellers and the wheels. The body casting is painted red and carries on each side, "G-R" on the left wing and "ACE" on the right. The cockpit windows are painted silver, the propellers are bare metal (tin). 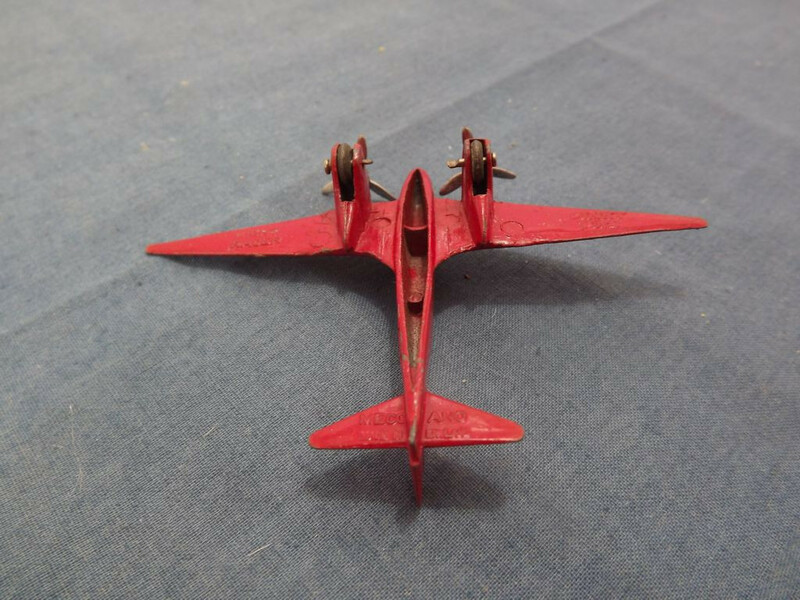 On the underside of the wings is cast "DINKY TOYS" on the left wing and "LIGHT RACER" on the right wing. 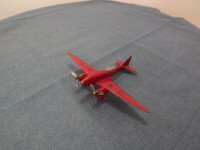 This model has no working parts other than the propellers which can spin on their pin and the wheels. This model was issued as #60g between 1946 and 1949.